As noted by the Australian Government Department of Health on 27 September 2018. More information here. From 1 November 2018, MBS items for sleep studies are changing to ensure patients with proven sleep disorders are better identified and more appropriately managed. 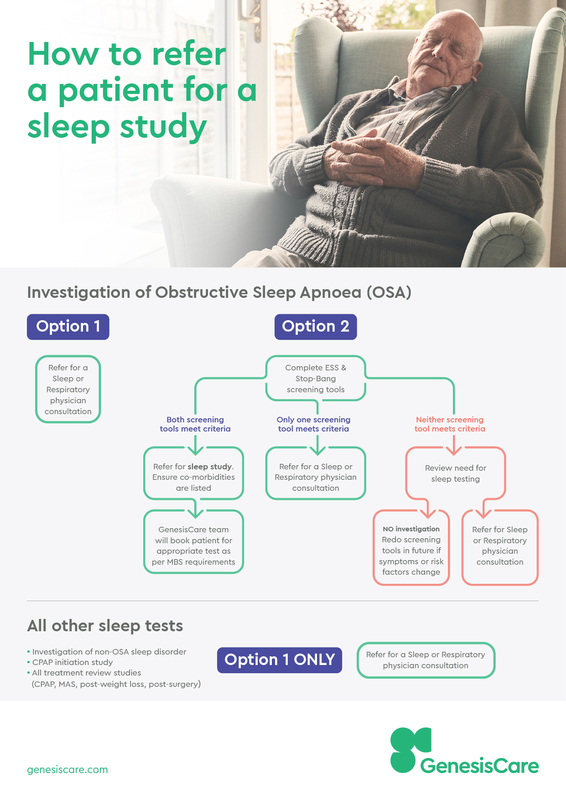 Before people can get a Medicare rebate for a sleep study test, their doctor will need to make sure they are eligible by asking questions from approved screening questionnaires. The changes will help doctors refer patients for the most suitable test for them, depending on how likely they are to have a sleep disorder. What does this mean for medical practitioners? Direct referral for diagnostic sleep studies: Medical practitioners must use approved assessment tools to determine eligibility for a diagnostic sleep study referral. Referral to sleep and respiratory physician: Medical practitioners are not required to complete the assessment tools if referring patients with suspected sleep disorders to qualified adult sleep medicine practitioners and consultant respiratory physicians. Please find below new GenesisCare Sleep Referral forms which are compliant with the Medicare changes effective as of 1 November 2018. Medical practitioners can not directly refer patients for an interventional study, from 1 November 2018. Instead, a sleep or respiratory physician is required to assess and confirm the need for an intervention study. GenesisCare can accommodate any sleep test referral pathway that best meets a patient’s need. 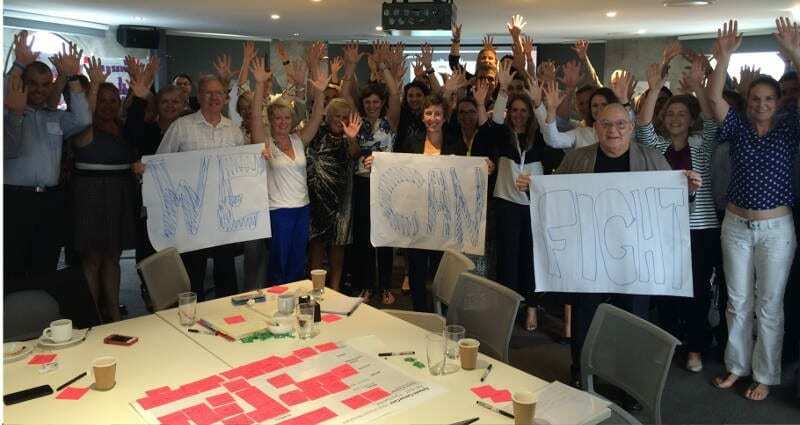 As the largest group of affiliated respiratory and sleep physicians across Queensland and Western Australia, GenesisCare facilitates specialist physician involvement in patient care plans. Our comprehensive service encompasses sleep physician consulting, sleep investigations (both in-hospital and at home sleep testing) and a full range of treatment options. We believe that poor quality of life, increased morbidity and even mortality associated with sleep disorders can be significantly improved by the combined management of our physicians and CPAP therapists. We’re happy to discuss these changes with you.